Fenugreek is a spice widely used in Indian cuisine as well as in North African and Middle Eastern dishes. 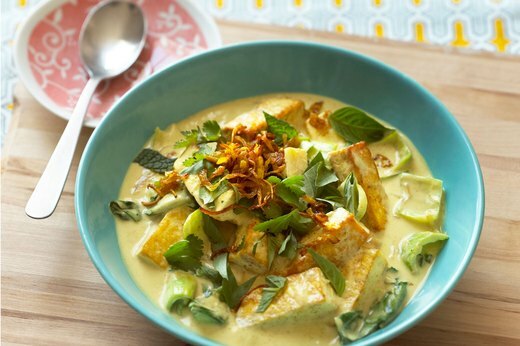 “If you crave fatty foods, curry powder may help quash your craving. 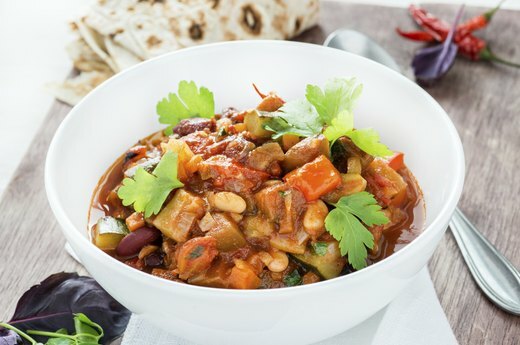 Curry contains fenugreek, a seed that helps suppress fat cravings. It may also help control blood sugar too,” says Karen Ansel, M.S., RDN. Fenugreek may stimulate insulin and slow the absorption of sugars in the stomach, which can lower blood sugar in people with diabetes. As a supplement, fenugreek seeds are used as a treatment for high cholesterol and diabetes. Add a pinch to plain Greek yogurt or use it as a savory dip for freshly sliced cucumbers and red bell peppers. Recent research reveals that cumin may be a natural weight-loss aid, helping to decrease body fat. “One study even found that it was as effective as the weight-loss drug Orlistat. 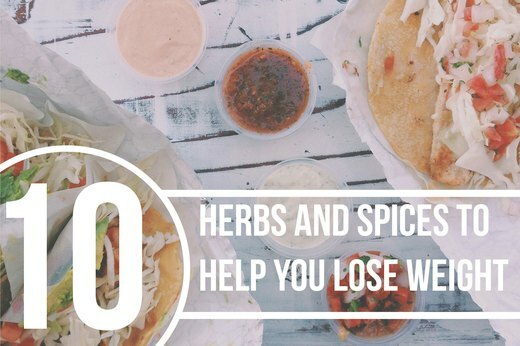 If that weren’t reason enough to add it to your spice rack, it has also been shown to lower cholesterol and triglycerides,” says Karen Ansel, M.S., RDN. Another study found that overweight or obese women who consumed a little less than one teaspoon of cumin powder a day (or three grams) lost three pounds more than the non-cumin group over a three-month period. In addition, over the same three-month period, the cumin-eating group decreased their body fat percentage by about 14.6 percent — almost three times that of the non-cumin group (4.9 percent). Stir a heaping teaspoon into hummus — its extra kick could keep you filling full longer. Approved in Germany for digestive ailments, rosemary has been used for years as a spice for its medicinal benefits. More recently, rosemary is thought to help ward off hunger and may aid with weight loss. “Rosemary is naturally rich in carnosic acid, a substance that keeps the pounds off by inhibiting the formation of fat cells. It also helps muscles soak up glucose, helping lower blood sugar levels and potentially moderating hunger,” says Ansel. 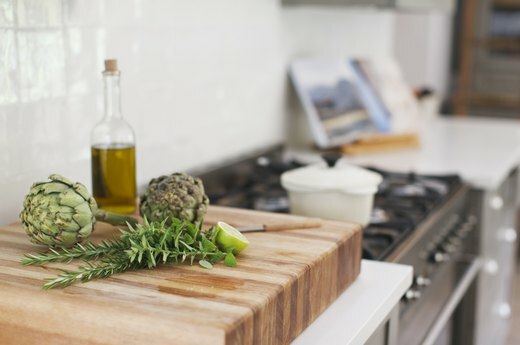 You can buy rosemary oil or cook with it in innovative ways, like using it as a kabob skewer. Try threading stalks with fresh cantaloupe or watermelon wrapped with prosciutto and lightly grilling them. 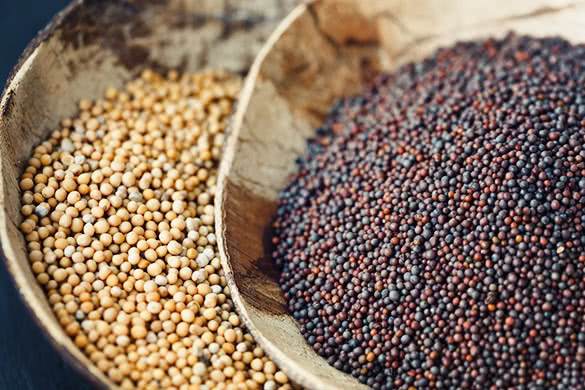 Mustard seeds, the small round seeds of various mustard plants, may slightly boost your metabolism. “Mustard may help you burn more calories. In one study researchers fed volunteers a meal that contained a little less than an ounce of mustard. Afterwards the volunteers’ calorie burn rose for four hours,” says Ansel. Plus, unlike many other high-calorie condiments, mustard has only three calories per teaspoon, which can also help keep your calorie intake down. To include more in your meals, whisk mustard into your favorite vinaigrette and drizzle it on sandwiches, salads, cooked string beans, broccoli or asparagus. One of the most common spices used, research suggests the same ingredient in black pepper that can make you sneeze may also help you slim down. A preliminary study on mouse cells published in the Journal of Agricultural and Food Chemistry suggests that piperine, the pungent-tasting component in black pepper, may interfere with the formation of new fat cells. The researchers think piperine may also set off a metabolic chain reaction that helps keep fat in check in other ways; however, human studies are needed to confirm this. Regardless, as a calorie-free flavor enhancer that’s easily available, it’s certainly a smart way to spice things up. Used for decades to treat nausea and other digestive problems, ginger has recently gained attention as a weight-loss aid. “Ginger is a natural appetite suppressant, helping you feel full so you eat less overall,” says Ansel. 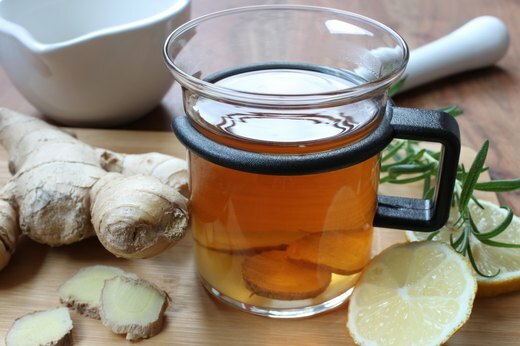 Researchers believe ginger creates thermogenesis, an action that helps you burn more calories. However, research from human trials is needed to confirm these findings since the weight-loss benefits of ginger have only been observed in animal studies. Regardless as to what degree ginger may reduce body weight, it’s a healthful way to spice up your meal. 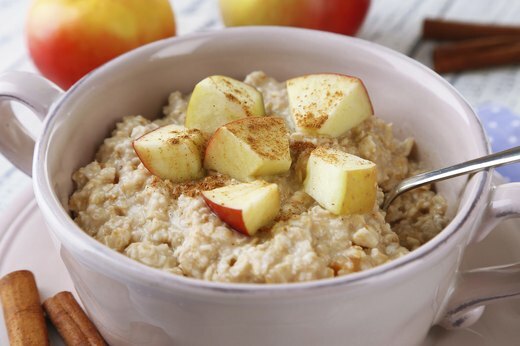 Use a big pinch of ground ginger to sweeten your oatmeal instead of sugar or honey. For 4,000 years, the plant turmeric has been used to treat a variety of conditions, including arthritis, digestive problems, infections and some cancers. It is thought that the chemicals in turmeric may help decrease swelling (or inflammation), which could also have weight-loss benefits. 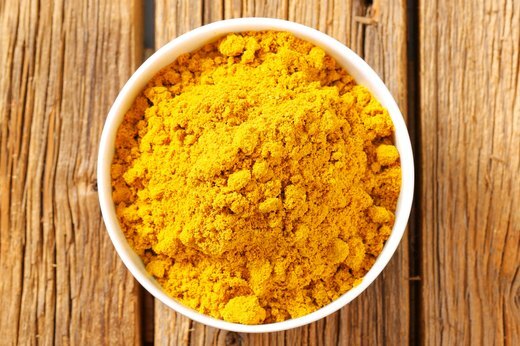 “Shown in some animal studies, the antioxidant and anti-inflammatory effects exhibited by curcumin, a yellow pigment derived from the spice turmeric, may reduce body weight and increase metabolism,” says McKenzie Hall, RD, adding that human trials are needed to verify this. To use in cooking, turmeric adds a warm, earthy aroma and flavor to poultry, seafood and vegetable dishes, including curries and chutneys. Known to have numerous health benefits, garlic can reduce blood pressure, fight inflammation, lower the risk of heart disease and possibly protect against osteoarthritis. Now, garlic may help control body weight as well. A study published in the the Journal of Nutrition showed that feeding mice garlic for seven weeks reduced their fat stores and body weights as well as lessoned the effects of the unhealthy diet on their blood and liver values. To get the most benefits from garlic, crush fresh garlic and let it sit at room temperature for at least 10 minutes before cooking with it. This will allow the enzymes that have been trapped in the garlic to be released and help retain up to 70 percent of the beneficial compounds in the garlic compared to cooking with it immediately after crushing. Popular with both children and adults for its trademark sweet aroma and flavor, cinnamon also benefits your health by providing antioxidant, anti-inflammatory and antimicrobial effects. Plus, research shows it may help control blood sugar levels. “Cinnamon improves glucose levels for people with Type 2 diabetes — this is not a direct weight-loss benefit, but many people with Type 2 diabetes struggle with their weight and need to closely manage their blood glucose levels,” says Sharon Palmer, RDN, author of “Plant-Powered for Life.” Not only great for baking, sprinkle it on your morning oatmeal, yogurt, cottage cheese, fruit dishes or trail mix. Palmer suggests using it in savory dishes, like curry dishes and stews. 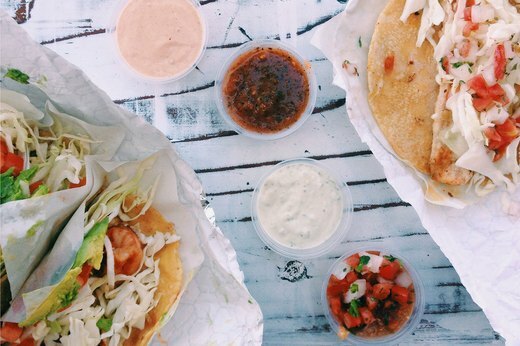 If you’re not used to eating spicy food, turning up the heat might help boost your weight-loss efforts. “Cayenne pepper, a source of capsaicin — a phytochemical with cancer-protective, anti-inflammatory and pain-relieving effects — may also increase satiety, or the sense of fullness,” says Hall, co-founder of nourishrds.com. “This, in turn, may help to reduce overall food intake.” A study at Purdue University found that about a half of a teaspoon of cayenne pepper helped normal-weight adults burn about 10 more calories over a four-hour period compared to those eating the same meal without it. Appetite also decreased the most in people who said they didn’t already eat spicy foods. 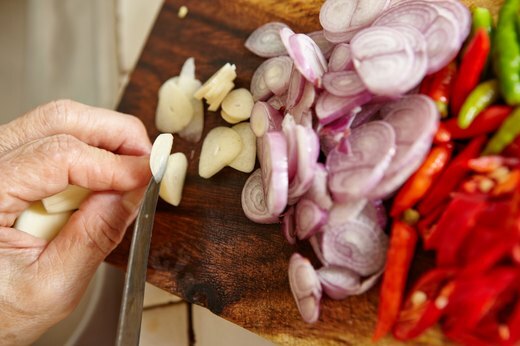 To fire up your weight-loss efforts, add hot pepper to your favorite stir-fries, stews and ethnic-inspired dishes.